Want to know more about Autel Autolink AL319 before buying it? You are here on the right page. I would recommend this scan tool because it does what it is supposed to do with live features, and is very affordable. Please read the story below from one of my customers about his experience related to Autolink AL319. Then you can make up your mind!! “My check engine light was illuminated on my 2010 Chevrolet Traverse. Conveniently the extended warranty had just expired and I was left footing the bill. The dealership wanted to spend some money just to scan the codes by an OBD2 Scanner and tell me what was wrong with my Traverse, which seems like highway robbery. I decided to buy a code reader for myself to see if I could save a few dollars. But having only basic mechanical skills, I was unsure whether buying a code reader would really be of any benefit to me. Am I ever glad I went this route? 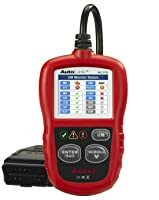 I searched online for hours trying to find a combination of an inexpensive tool and one that had a wide range of functions, finally settling on the Autel Autolink AL319 Code Reader. There were more basic scanners available as well as more capable scanners, but the Autel looked like it would serve pretty much any need I could think of without being overkill. When the Autolink code reader was delivered to my door, I ripped open the box to find the scanner packaged in clear moulded plastic on a cardboard sheet, much like you find items hanging on display at the convenience store. My initial impression wasn’t overly positive as I thought the bargain packaging job may reflect the quality of the object it contained. The red and black plastic scanner is pretty small – about the size of my wallet – and the coiled-up cord looked short. Nevertheless, I cut the plastic open to get the scanner out and immediately headed out to the garage to test out my new toy. Keep in mind, I am not mechanical by nature and didn’t really know what I was doing. I located the OBD port under my dash (I knew where it was because I watched on a previous visit to the dealership) and immediately the screen lit up. The scan tool went through an initial boot-up sequence that seemed to take forever but really was only about 20 seconds or so, then the bright LCD color screen displayed icons to choose from. 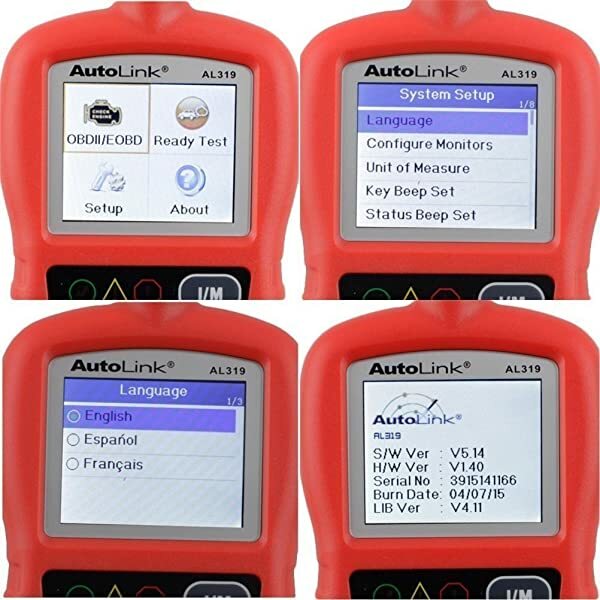 Autel Autolink AL319 scanner supports multiple languages. The Autolink AL319 has four icons or boxes that pop up. You can check your engine light, perform an emission or smog test, change settings, or check the scanner’s information. I immediately went to the engine section and went through the very simple process of reading codes. You can check current codes, pending codes, and there’s even a section for checking permanent codes. I checked my current codes and after only a few seconds I was presented with code P0456, Large Emissions Leak. The scanner doesn’t tell you any more than that, so I went inside and quickly Googled the code. Amazingly, the most common problem is a loose fuel cap. So, I went back to the garage and checked my Traverse’s fuel cap. It wasn’t even threaded onto the filler neck, just placed on top. I cursed under my breath about the fuel station, then tightened my cap and checked the codes again. Stupid me, I had unplugged the scanner so I had to wait another 20 seconds for it to boot up. Once it did, I deftly navigated back to the engine light section and clicked on clear codes. It asked me to confirm, which I did, then the light went off! The Autel AL319 saved me more than twice its purchase price on its first use. I performed my smog test and passed with flying colors. So I can be confident next time that it will pass. I’ve checked the live data stream which was fascinating even though I didn’t know what most of the information meant. There are a few small things that can be annoying. The Autel AL319 is rated for use in temperatures ranging down to 32F, but when it gets close to freezing the screen refreshes pretty slowly. If you live where it gets really cold, I’m not sure how the scan tool’s display will operate below freezing. Autel Autolink AL319 displays Live Data and other information very well. Also, there are status LED’s on the front of the scan tool just below the screen that let you know when the process you are performing is complete. But the system also beeps when it is done. It seems redundant and annoying, but I found you can turn off the beep. I wish you could turn off those LEDs instead. Lastly, the cord seems short. When you’re sitting in the driver’s seat, you can hardly hold the AL319 comfortably to read because the cord restricts how far you can move the scanner towards you. 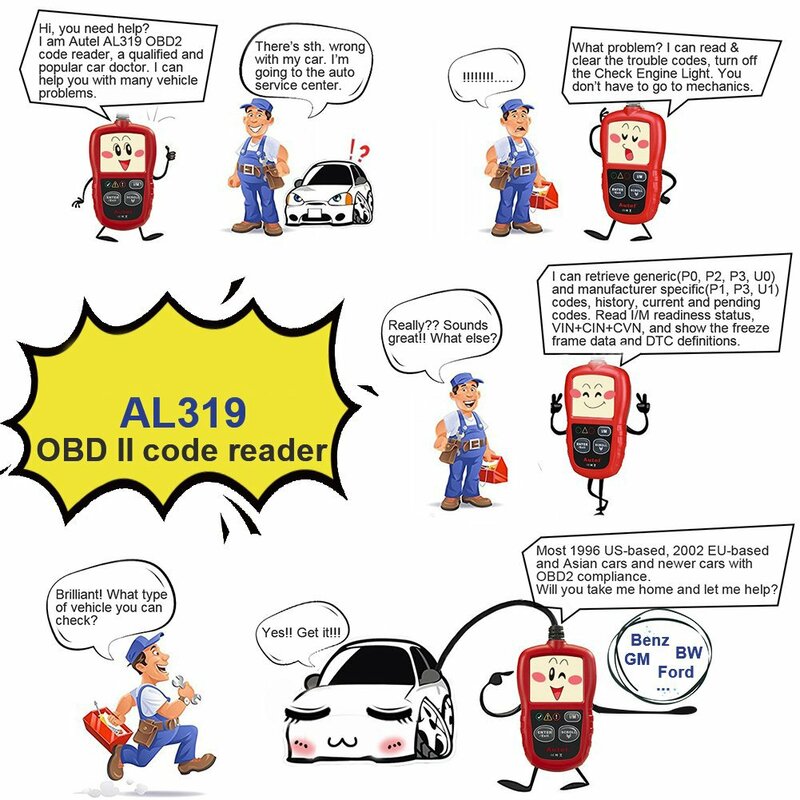 AL319 can read both generic codes and manufacturer-specific codes. That being said, the Autel Autolink AL319 scan tool is well worth its money. 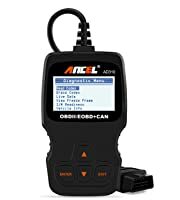 It can read both generic codes and manufacturer-specific codes like airbag system or ABS codes, unlike many less expensive scanners. The display is easy to read, simple to navigate, and intuitive, so even a newbie like me can use it without reading the manual. 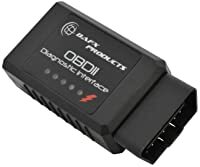 It works on all models from 1996 to current, whether your system uses OBDII or the more advanced CAN bus systems though I’m not too sure which one I have. The scanner automatically chooses the right one. It comes with a CD to install the software for the scanner on your computer as well as a USB cord for the scanner. It can be updated online with the newest information so I would imagine as long as vehicles continue to use CAN bus technology, the Autel Autolink AL319 will still be usable. 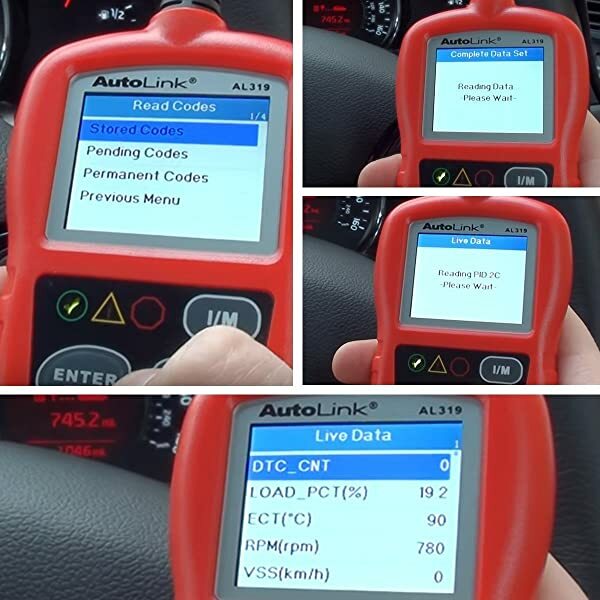 If you perform your own vehicle maintenance, basic repairs on your own, or want to save yourself time and money from having the dealership pull your engine codes, you should get the Autolink AL319. 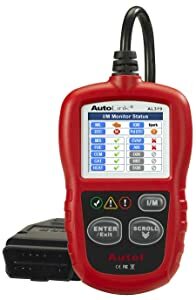 Because of its ease of use and the astonishing amount of information you can get from using this scanner, I can see even licensed technicians using Autel Autolink AL319 Scan Tool for some of their work. It’s much less bulky and cumbersome than the scan tools I’ve seen at the dealership. Optimized for vehicles in the United States only. Slow tech support. Not support iOS devices. Bottom Line Autel Al319 suits beginners who want to turn off the CEL and do simple diagnosis. ANCEL AD310 focuses on beginners who want to turn off the CEL. Bafx products is suitable for beginners and average car owners. That’s it. 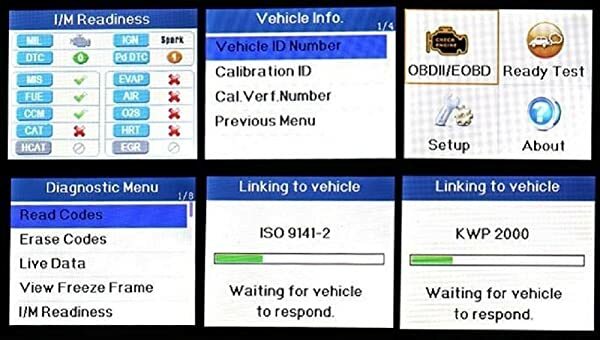 It’s such an interesting experience that he’s ever had with an OBD2 Scanner, Autel Autolink AL319 Scan Tool. And I think you’ve got your own decision now! Take an Autel Autolink AL319 for convenience!! If you prefer another Autel scanner model, Read The Honest Review of the Best Autel Scanners for more choices NOW.